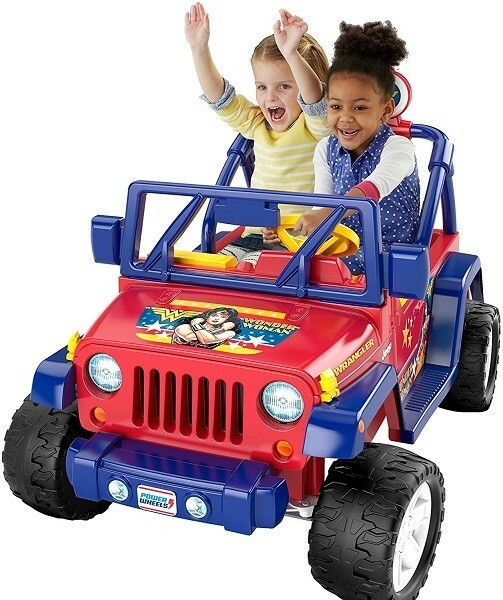 With this awesome Power Wheels ride-on, young super heroes are in control of all the high-speed action! 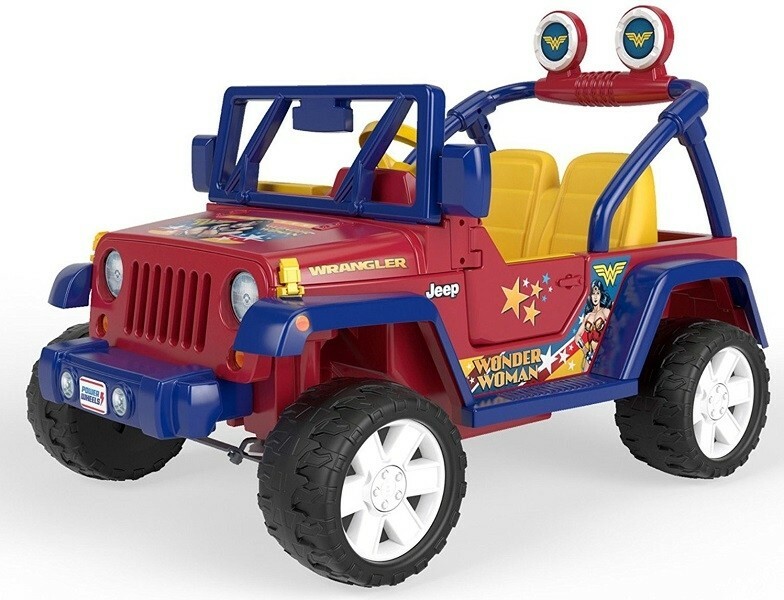 The Wonder Woman Jeep Wrangler features cool character graphics and styling, a roomy storage area, and a pretend radio with fun character phrases and realistic Jeep vehicle sounds! It has two forward drive speeds (2.5 or 5 mph max.) 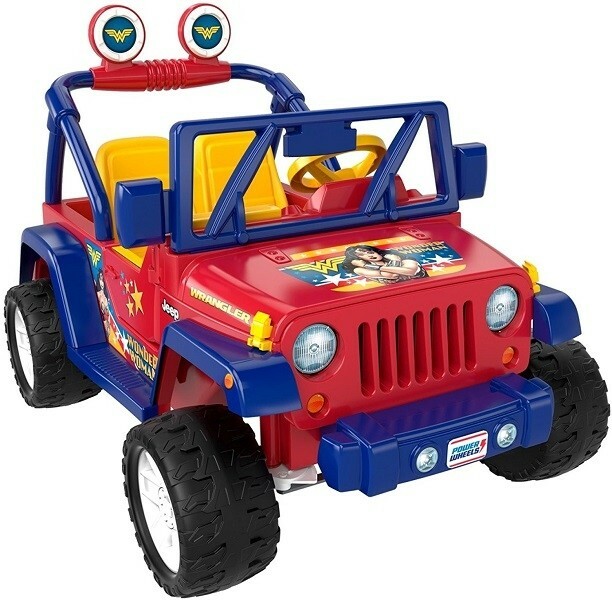 plus reverse, doors that open and close for easy in and out, and it's equipped with Power Lock brakes and a parent-controlled high-speed lockout for beginner drivers. 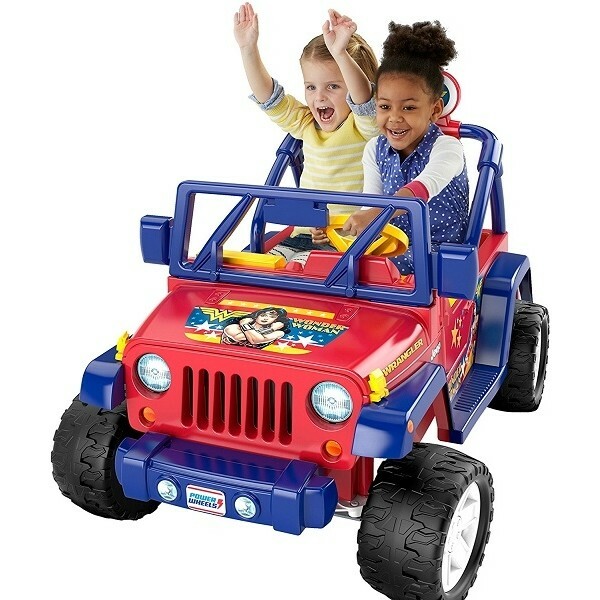 And with this tough vehicle, young Super Heroes can power over hard surfaces or grass as they race to save the day! For more fun and exciting products featuring this iconic DC superhero, visit our Wonder Woman Collection.